A valuable, investment-grade collector car in your garage means you’ve probably already gotten used to doing some research, but deciding upon an insurer for your vehicle means you’ll be needing to do some more. 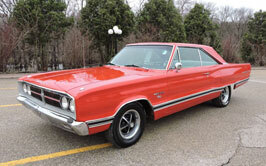 If you have a standard auto policy, you’ll want to ask about adding a collector car to it. Don’t stop there though. Standard car insurance and collector car insurance are worlds apart, and knowing exactly what will be factoring into your policy is a requirement. Independent collector car insurance is a big business, with companies like Hagerty and JC Taylor servicing hundreds of thousands of collectors. Make sure you know what you’re getting, whether it is from your regular insurance provider or a specialist provider. 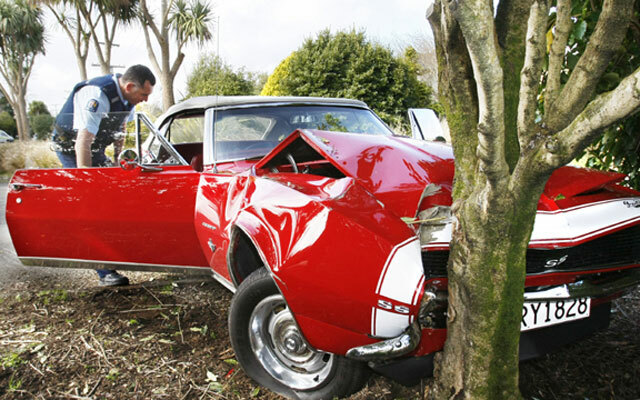 So what’s the difference between standard insurance and collector car insurance? Most personal vehicle insurance policies are aimed at replacing or repairing a damaged vehicle with one that can do exactly what the old one did. Policies do this by paying out an actual cash value or stated value for a damaged car, and this value usually assumes depreciation, the idea that the car loses a vast amount of its value after it’s driven longer. Collector car policies should utilize an agreed value, where you and the insurer agree on a stated value for the car after considering all of the components that make it a collectible. Depreciation or fluctuations in the market won’t affect the insurance payout should the car be damaged. Make sure your car qualifies for coverage. JC Taylor provides coverage for vehicles 19 years of age and older across a multitude of categories, as well as modified cars, and Hagerty stipulates additional requirements that extend to the driver. They’ll only ensure drivers that have been on the road at least five years and others may require that every licensed driver in a household have a regular vehicle. Most collector car policies will require certain conditions to be met to maintain coverage. They could require you drive less than a certain number of miles per year with the insured car, that you have a garage for storage or even that you never leave the vehicle alone in public. Different insurers will have different requirements, and you need to know what they are, sometimes even before you decide to buy the vehicle. The good news is that all these restrictions reduce the risk that the insured vehicle will have any incidents requiring coverage, and insurance premiums will run significantly less than standard auto policies. The more restriction you’re willing to place on your vehicle, the cheaper it will be to insure.